My Sister in Vermont Knows How to Party! Saturday night, I went to the most completely, utterlessly tasteless party I’ve been to in ages. Bright Lights, Big City. Or Small Town. My sister Laurie celebrates at her surprise 40th birthday party Saturday in West Rutland, Vermont. In other words, it was absolutely the best party I’ve been at in a long, long time. You can tell by the pictures scattered through this post, taken by my brother-in-law David Jenne, that this celebration ROCKED! 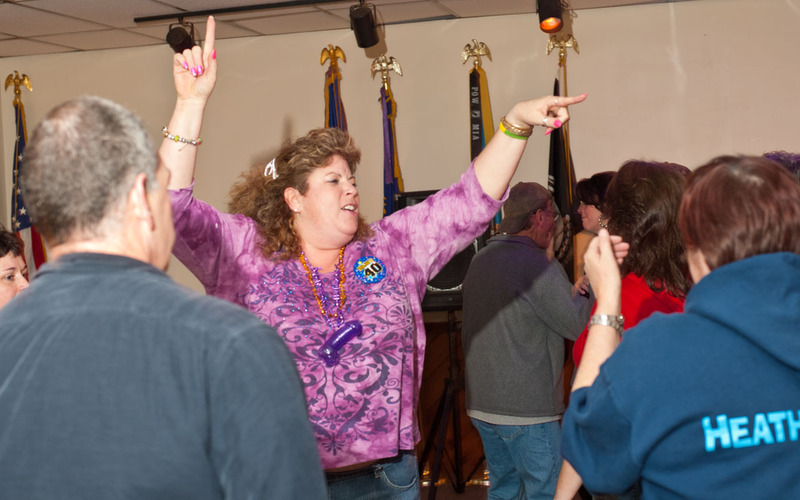 The occasion was my little sister’s surprise 4oth birthday party at the American Legion in West Rutland, Vermont. Her partner Bennie and a lot of her friends conspired to put this together, and somehow kept it from Laurie, who otherwise has a knack for finding out about everything and everybody. She’s sort of the TMZ of Rutland County, Vermont. 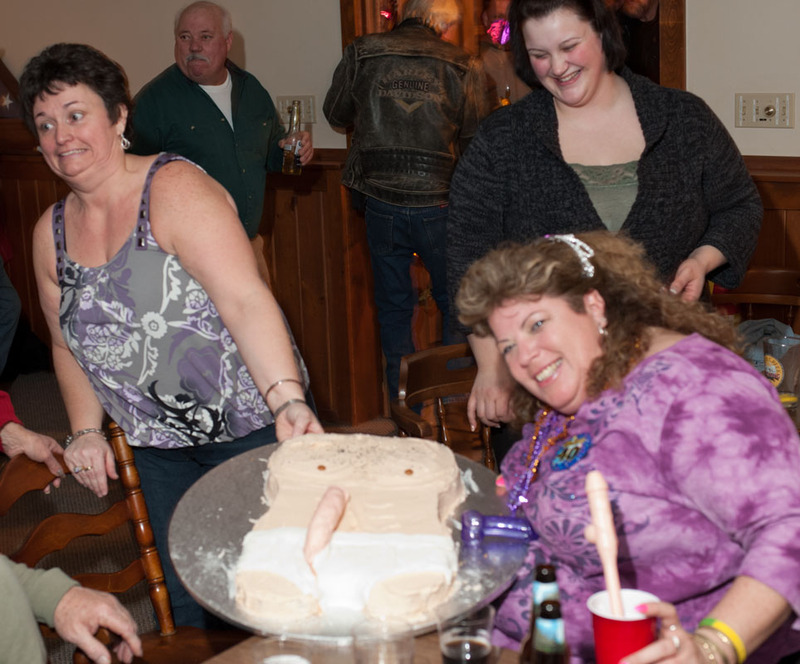 Laurie's friends present her with a cake with some impressive decorations at her birthday party Saturday. The party, aside from being a rocking hot time, illustrated perfectly the two Vermonts I inhabit. The Vermont stereotype is well known. Vermont is this ultra liberal vegan, free range, hemp wearing, back to the land. oh-so-politically correct, socialist paradise. There’s some truth to the stereotype, and that type of crowd, though not as extreme as I describe, is certainly a big part of Vermont. Nothing wrong with this free range and sustainability group. Gatherings with them are usually fun, educational, interesting, stimulating. But some of these people can be a little too self-conscious, too self-controlled, too polite for my tastes. At least in social situations. Laurie cuts the rug with a friend of hers, whose name I forget, a plumber dude, at her surprise birthday party Saturday in West Rutland. This was not a problem at Laurie’s party. I don’t think anybody there could have been self-conscious if they tried. 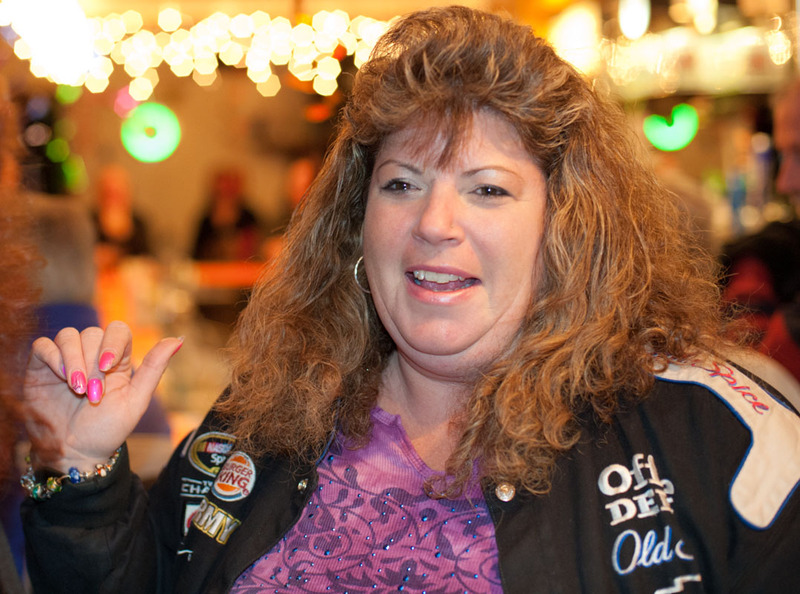 As soon as things got underway, friends promptly gave Laurie a sort of shot glass shaped to look like a guy’s, um, junk. They gave her a similarily shaped straw for her drinks and insisted she use it. Other people shared the straw, of course, for the future blackmail pictures, I believe. Probably the highlight of the evening was when the DJ started spinning tunes. The music leaned heavily toward artists like Kid Rock and Shania Twain. It was disconcerting to say the least to hear the crowd singing along to Shania as they danced. “Man, I feel like a woman!” is a little alarming coming from a drunk middle aged male plumber with big rubber cow barn boots on. My sister Laurie gets down! At her 40th birthday party Saturday in West Rutland, Vermont. But he was caught up in the moment. The guy picking his nose as he danced was probably in the same boat. That’s why the party was so perfect. Everybody let their hair down. Nobody worried about being polite, or felt like they had to say the right thing and show off the fact they memorized an article from The New Yorker or The Economist. At Laurie’s party, nobody discussed the foreign policy implications of Obama’s economic team clashing with House Republicans over trade tariffs. Instead, people discussed how drunk they were getting. Nobody at Laurie’s party played any weird obscure music to impress us by how esoteric their taste is. At Laurie’s party, the Budweiser flowed, the food almost prompted a raid from the American Heart Association, fashion statements tended toward old, battered jeans and t-shirts. 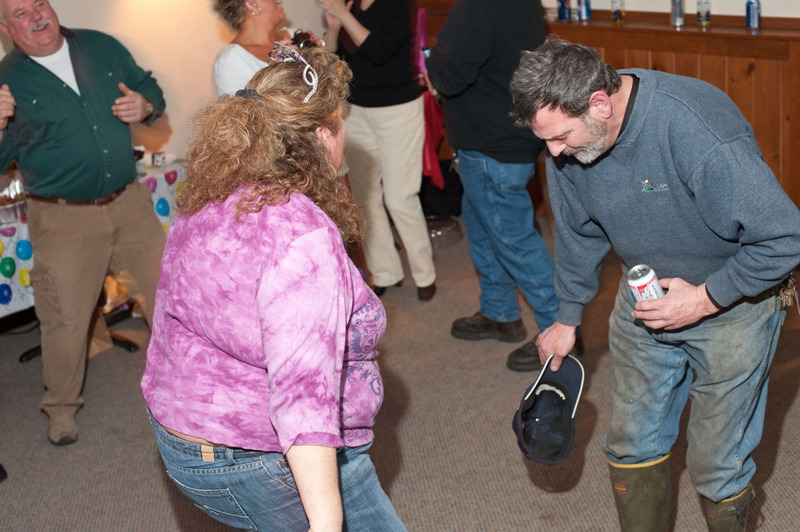 The people who overdressed for the party wore Carhartts. So Laurie, Happy Birthday. Keep rockin’, keep the beer flowing and the country music blaring. Believe me, everybody is thanking you for it. This entry was posted on February 14, 2011 at 12:10 pm and is filed under Uncategorized. You can follow any responses to this entry through the RSS 2.0 feed. You can leave a response, or trackback from your own site. Matt that was a great article ! !